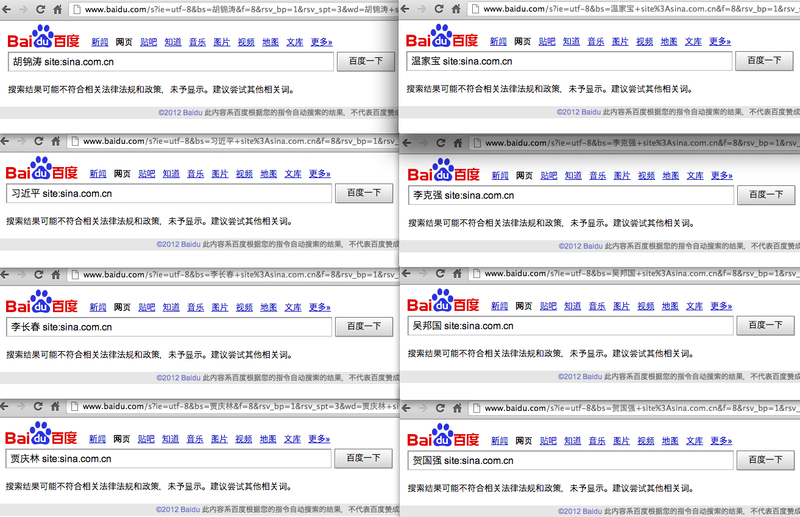 On January 4 we broke the story about Google backing down on their online censorship position in China. Sometime between December 5 and December 8 last year, Google decided to remove a feature which had previously informed users from China of censored keywords. At the same time, they deleted the help article which explained how to use the feature, indicating a new development in the relationship between the Chinese government and Google. Our original article warrants further elaboration and analysis and we also felt it necessary to address some issues raised by the media who reported on this story. Is this about making Google shareholders happy? Is this just another China growth story? This could be the simplest answer as to why Google would make such a change and it would have been hastened by the Chinese government’s decision to block Google for one day last November. Originally posted by Jason Q. Ng at Blocked on Weibo, republished with permission. The question of how many Chinese Twitter users there are made headlines a few months back when the market research company GlobalWebIndex published results from a survey which claimed that 35 million people in China used Twitter. 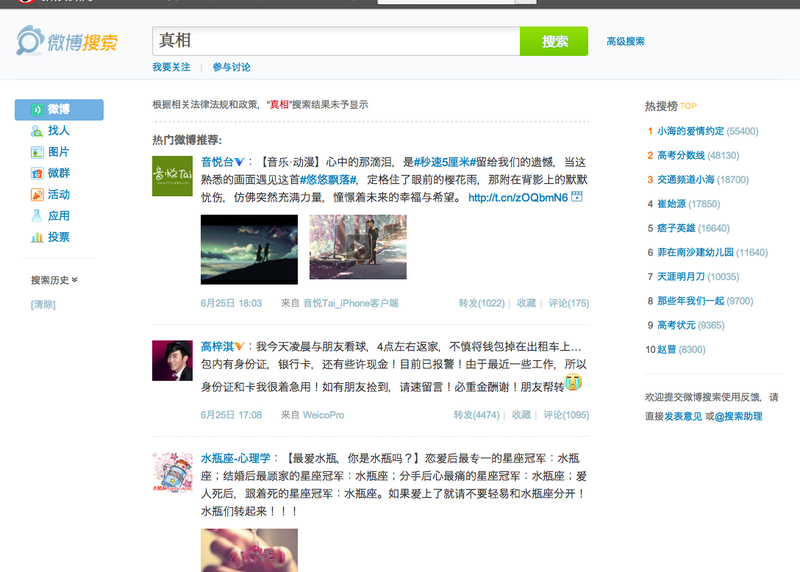 Media outlets ran with the story of how there was a huge secret upswell in “free” netizens in China who climbed the Great Firewall to access blocked sites like Twitter, with the seeming implication being that revolución! was just around the corner. Social/human rights progress may still indeed take place in China in the near future, but most smart social media watchers agree it won’t be because of Twitter: Chinese folks just aren’t on the service in the same numbers that they are on other local social media sites like Sina Weibo, RenRen, and even upstart mobile apps like WeChat/Weixin. People (and even companies in advertisements) don’t pass around their Twitter handle in the same frequencies as they share their Weibo contact info.